San Franciscans are crazy about baseball. 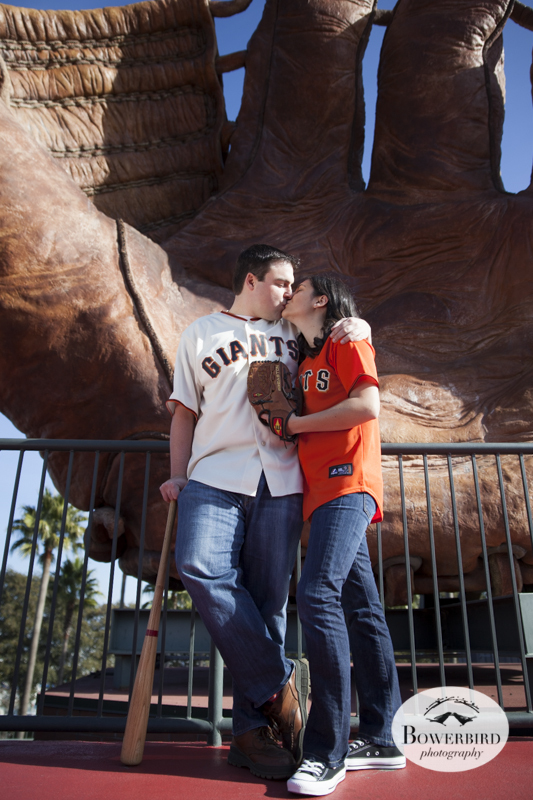 And Nicole + Anthony are what you might call authentic Giants fans! 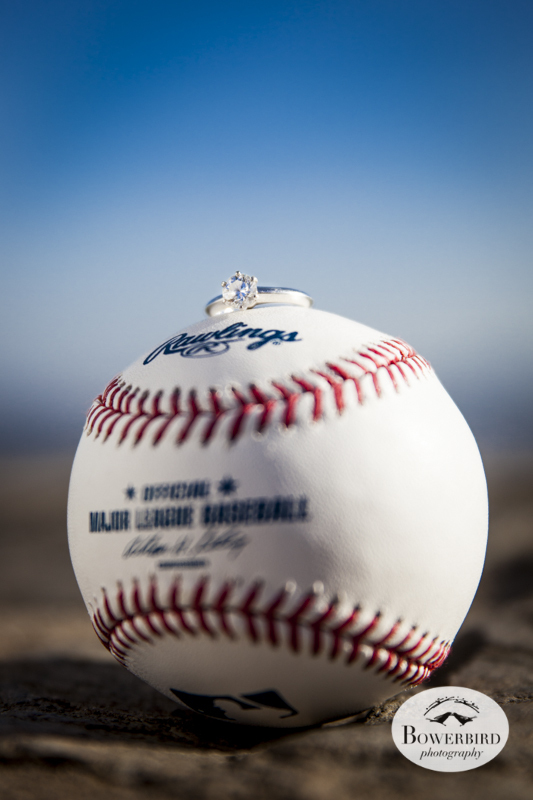 So how perfect was it that we got to spend a day at the AT&T ballpark with them last Sunday, to photograph their love of the game and each other. It was perfectly romantic and totally San Francisco! Nicole + Anthony are a gorgeous pair and we loved that they could get gushy together, and ham it up, with true Giants fan flavor! After the stadium, we headed to Twin Peaks, where they had their first date, for some classic views of the Bay Area. An excellent ending to a splendid afternoon :) We are so happy for these two love birds! Engagement Photo Session at AT&T Park. © Bowerbird Photography, 2013. Engagement Photo Session at Twin Peaks. © Bowerbird Photography, 2013.